Casillero Del Diablo Reserva Chardonnay is a popular Chilean White Wine available from Tesco Groceries in 75cl to buy online. Visit Tesco Groceries for the best price for 75cl of Casillero Del Diablo Reserva Chardonnay or compare prices on our other Chilean White Wine products. Casillero del Diablo is one of Chille most prominate wine producers and Limari Valley in the North to the Maule Valley in the South is where is this famous Chardonnay is harvested. Your taste buds will pick up on subtle hints of vanilla and fruit flavours which leads this wine to be match best with seafood and poultry dishes. Where to buy Casillero Del Diablo Reserva Chardonnay ? Casillero Del Diablo Reserva Chardonnay Supermarkets & Stockists. 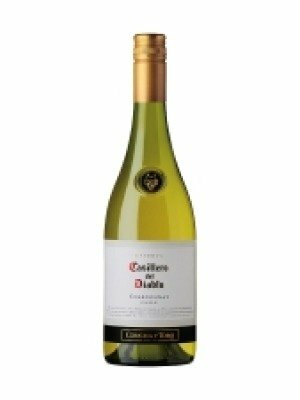 You can buy Casillero Del Diablo Reserva Chardonnay online in most retailers and find it in the Chilean White Wine aisle in supermarkets but we found the best deals online for Casillero Del Diablo Reserva Chardonnay in Tesco Groceries, DrinkSupermarket.com, Amazon.co.uk, Tesco Wine, and others. Compare the current price of Casillero Del Diablo Reserva Chardonnay in 75cl size in the table of offers below. Simply click on the button to order Casillero Del Diablo Reserva Chardonnay online now.